Ran past a red light? Got caught without a helmet? But got no money in hand to pay your neighbourhood traffic cop? Don’t worry because you can soon pay your traffic fines using your card; online payment with SBI, Paytm, Chennai Corporation E-Seva centres, post offices or at the court are options available, according to this report in The Hindu. This is an attempt to tackle the issue of complaints against cops on allegations of bribery. Once this e-governance initiative comes into full effect (hopefully by next week), policemen will not collect cash. You just have to use one of the above mentioned methods to sort out the issue. And what’s more? Soon, there’s also talks of having challans sent to the traffic violator’s houses directly and not being stopped on the road altogether. 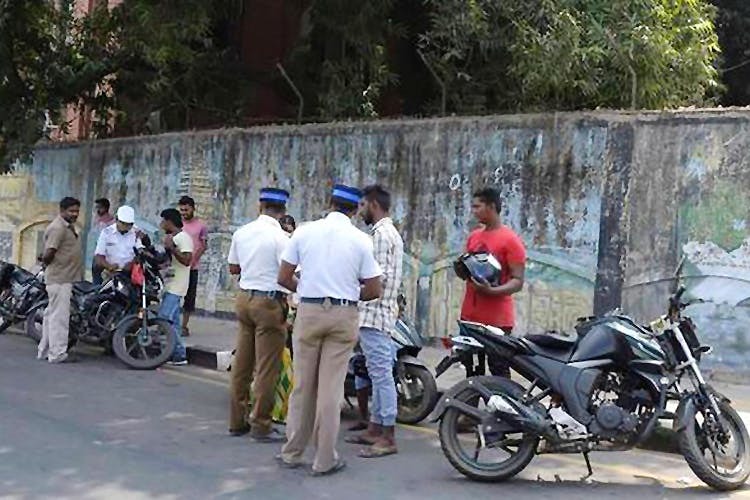 What do you think of this move by the Chennai City Traffic Police?